The Best HR Software Blogs from thousands of HR Software blogs on the web using search and social metrics. Subscribe to these websites because they are actively working to educate, inspire, and empower their readers with frequent updates and high-quality information. HR Software newsletter is a comprehensive summary of the day's most important blog posts and news articles from the best HR Software websites on the web, and delivered to your email inbox each morning. To subscribe, simply provide us with your email address. Lindon, Utah About Blog BambooHR is the #1 online HR Software for small and medium businesses that have outgrown spreadsheets. BambooHR’s cloud-based system is an intuitive, affordable way for growing companies to track and manage essential employee information in a personalized Human Resources Information System (HRIS). Facebook fans 27,688. Twitter followers 11,737. Global About Blog Keep up with the latest thinking from both the industry and CoreHR and get tips and advice on HR software solutions. Facebook fans 13,213. Twitter followers 8,070. United Kingdom About Blog Lightning-fast web-based HR software system crafted by HR experts, providing cutting-edge tools for tackling HR admin. Fully functional yet surprisingly simple. Facebook fans 3,104. Twitter followers 10,524. Newton, Massachusetts About Blog Mitrefinch USA is a premier provider of Employee Time and Attendance Management Systems. A subsidiary of the industry-leading Mitrefinch Group, we deliver state-of-the-art solutions and installation expertise to Australia's leading manufacturers, universities and aged care facilities, government departments, retailers, transport and distribution companies. Facebook fans 74. Twitter followers 1,461. Marlow, UK About Blog CIPHR is a privately owned business with over 650 organisations using its software and over 700,000 employee records managed on CIPHR systems. The Company has its head office in Marlow, Bucks UK. Computers in Personnel (CIPHR) provides software and services for people and data management. Facebook fans 529. Twitter followers 12,269. Mumbai, India About Blog Easy HR is simple & intuitive Cloud based HR Software for SME & Enterprise. It provides HRIS records, leaves & attendance, Payroll, expenses, travel making it very easy to manage Human Capital in your organisation. Subscribe to get timely posts about HR Software Tips and Tricks and Human Resource Concepts and Software. Facebook fans 450. Twitter followers 27. Global About Blog Cezanne HR helps organisations manage their people better. We're leading the way in providing flexible, powerful online HR software that's quick to deploy, easy to manage and won't break the bank. That's because we've designed our HR systems for the ground up to take advantage of proven Cloud and SaaS technologies. Visit our website to find out how Cezanne will help you save time, streamline HR and achieve more for your business and your people. Facebook fans 236. Twitter followers 1,716. About Blog ZenHR is a cloud-based Human Resources Management System (HRMS) that is specifically designed to serve everyone from SME to Enterprise customers in the MENA market. It is completely localized to the MENA market, including all labor laws, expat regulations, and social security & tax laws. United Kingdom About Blog Natural HR is a secure web based platform created by HR professionals that offers a comprehensive toolkit of HR management features, coupled with intelligent analytics and time saving reports to empower HR Professionals with information and business insights. Facebook fans 348. Twitter followers 9,013. India About Blog factoHR is India's most reliable payroll software, specially developed for Indian industries which have all HR features to handle leave, attendance, payroll processing, HRIS, HRMS and performance management. Facebook fans 378. Twitter followers 464. Los Angeles, CA About Blog Check out our blog for the latest HR management tips, trends, and updates. Also stay in touch and read about company updates & product developments. Facebook fans 11,991. Twitter followers 13,447. About Blog WebHR is based on Software as a Service (SaaS) and Cloud Computing model. WebHR facilitates all functions of the Human Resource Department that deals with recruitment, employees' management, payroll, performance, training etc. In fact, WebHR can be used to simplify the daily tasks involved in the HR Department. WebHR acts as a bridge between human resource management and information technology. Facebook fans 13,234. Twitter followers 5,075. Mumbai, India About Blog Managing HR operations is easy as never before with Beehive's Human Resource Management System (HRMS) software. Beehive is one of the fast emerging leaders in providing the companies with the Cloud-based and or an On-premise HRMS software that lists out a number of highly effective features to run HR functions efficiently. The software encompasses key features like Attendance, Leave, Recruitment, Travel, PMS, Payroll, Task Management, Expense and may more. Facebook fans 164. Twitter followers 115. USA About Blog At HRPayrollSystems.net, we help to make your HR software search easier and more enjoyable. We are a proud member of the Better Business Bureau and have been trusted by some of the biggest names throughout many industries to help with HRIS vendor matching. On our site, we offer informative articles to guide you through the selection and implementation process, as well as edifying and entertaining blogs about the human resources life. Facebook fans 1,041. Twitter followers 3,272. Facebook fans 196. Twitter followers 313. About Blog Dynamic online HR software to help you manage your HR issues more effectively. Simple to use, easy to install and developed by industry experts. 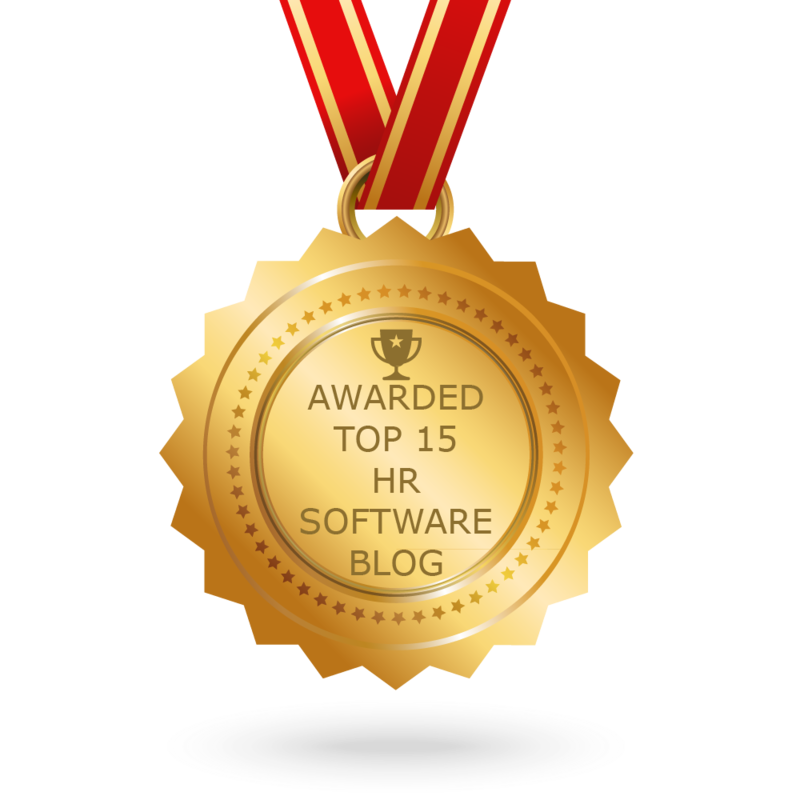 CONGRATULATIONS to every blogger that has made this Top HR Software Blogs list! This is the most comprehensive list of best HR Software blogs on the internet and I’m honoured to have you as part of this! I personally give you a high-five and want to thank you for your contribution to this world.